The Justice League: Crisis on Two Earths DVD came out last Tuesday and it’s phenomenal! Great story and action! I’ll be doing a full review over at ONCE UPON A GEEK sometime in the near future, so watch for that. As discussed here previously, Firestorm is used in a couple scenes of the film. He is a minor character and primarily appears during a large fight scene in which he battles the evil version of Captain Marvel Jr. This is the Jason Rusch version of Firestorm and he’s from the “good” Earth. 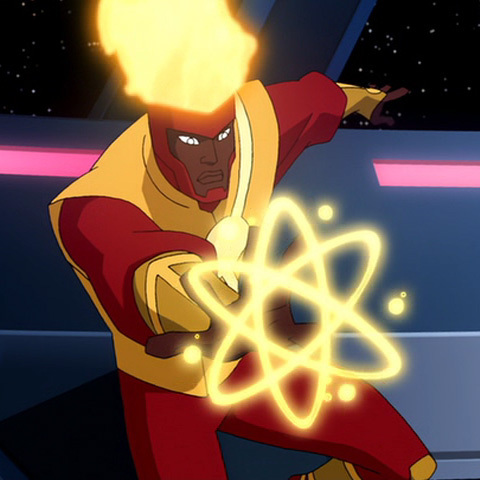 Firestorm is voiced by Cedric Yarbrough and his costume is based upon the Jamal Igle version from Firestorm vol III. Dwayne McDuffie wrote the story for this movie; McDuffie wrote a few issues of Firestorm vol III and a JLA run with Jason. Below is a still of Firestorm using his transmutation powers during the large battle. Click here to see how Firestorm handles himself during the fight. If you’re like me, you were wondering if there was an evil Crime Syndicate doppelganger of Firestorm. Well for those eagle-eyed viewers, or those that thought to pause, there was a very brief appearance. The shot below reveals several of Super-Woman’s henchmen. 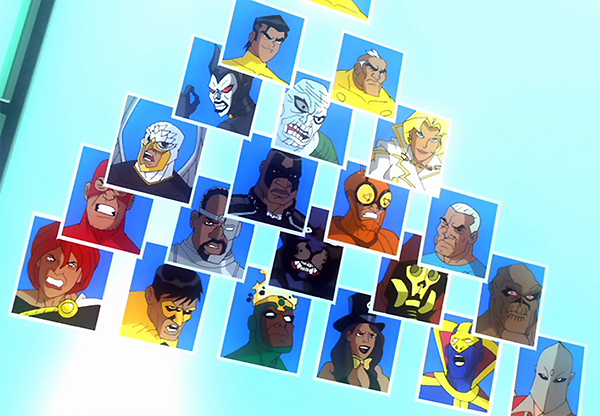 Among them on the bottom row towards the center is clearly an evil parallel to Firestorm. 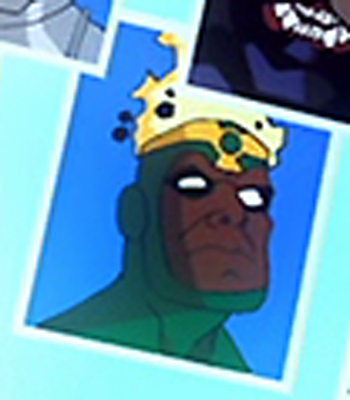 Rather than a red headpiece, his is green and features a radioactive symbol. I can’t help but wonder what his name is. Meltdown? Fallout? Nuclear Winter? Even though Firestorm’s part is minor, the film is definitely worth checking out. Posted in: Cartoons, Dwayne McDuffie, Firestorm #07: Jason post-Infinite Crisis, Jason Rusch, Justice League of America. Evil Hawkman (Blood Eagle?) looks pretty pissed off. I always thought it would be funny for the “evil” Hawkman to be calm and laid back. Like the “evil” Cartman from that early episode of South Park! Captain Marvel Jr. vs Captain Super Jr.